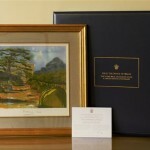 Penny Brohn Cancer Care will auction an artist’s proof of a watercolour painting by The Prince of Wales during an exhibition scheduled for October 3-5th, 2008, along with works by other artists. The exhibition will take place at the new Penny Brohn Cancer Care facility in Pill, just outside of Bristol. Penny Brohn Cancer Care, formerly known as the Bristol Cancer Help Centre, is the first and leading holistic cancer charity in the UK. The exhibition is certain to be impressive, as it will also feature artists from Bristol Savages arts club and The Royal West of England Academy. Over 100 artists will participate in the exhibition, permitting visitors to see new talent and purchase pieces from the artists. 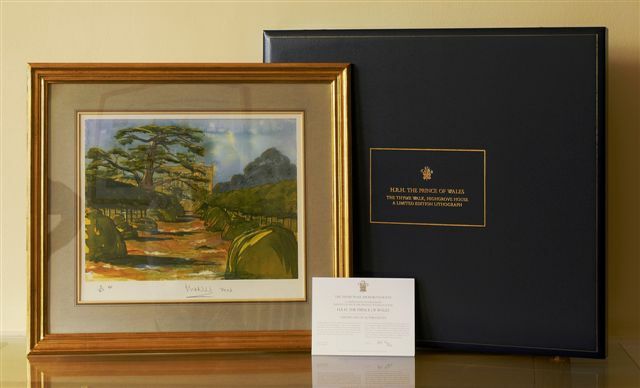 His Royal Highness The Prince of Wales’ artwork that will be auctioned is a painting of his renowned organic herb garden at his Highgrove Estate. 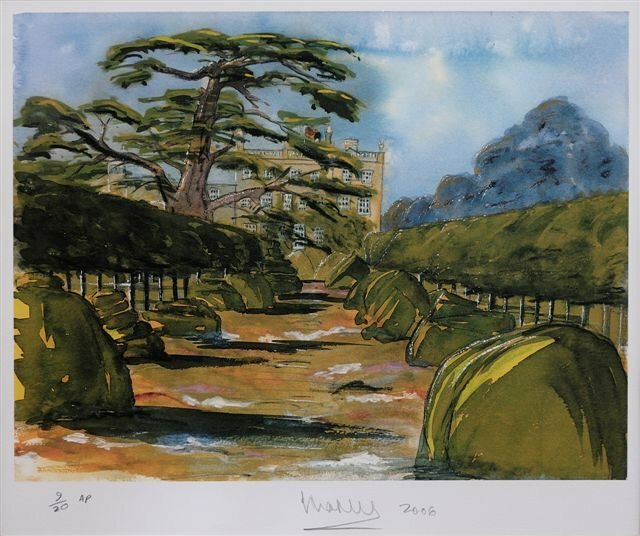 The signed artist’s proof titled ‘The Thyme Walk, Highgrove House’ is a fitting piece for the for Penny Brohn Cancer Care art auction. 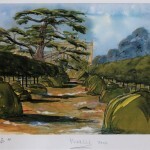 The Highgrove Estate uses a holistic system of organic gardening and Penny Brohn Cancer Care pioneered the holistic Bristol Approach to cancer treatment. A photograph of the Thyme Walk garden adorns the back cover of The Elements of Organic Gardening book by HRH Prince Charles and co-author Stephanie Donaldson.